celebration Happy Xmas and Prosperous New Year messages from all of Us in EmpireTechx blog. 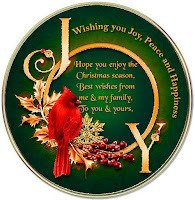 From all of us in EmpireTechx blog we are saying very big Happy Xmas and Prosperous New Year in advance. To all my search engines and social media platforms Blogger, Google, Bing, Alexa, Ask, Amazon, Chitika ad, Facebook, Twitter, Linkedin, StumbleUpon, Whatsapp etc. Founders of our Social Media Platforms. To our loyal readers from all over the World, we say Happy Xmas and prosperous new year, from America, Europe, Canada, China, Peru, Nigeria and all of Africa. UNTO US A CHILD IS BORN, UNTO US A SON IS GIVEN AND THE GOVT. SHALL BE UPON HIS SHOULDERS AND HIS NAME SHALL BE CALLED WONDERFUL, COUNSELLOR THE MIGHTY GOD, THE EVERLASTING FATHER AND THE PRINCE OF PEACE. ON THIS DAY, YOU SHALL BE FAVOURED TO RECEIVE THE PRINCE OF PEACE IN ALL YOUR ENDEAVORS THROUGH THE GRACE OF GOD IN JESUS NAME. Am happy cos of U, Am happy cos u made it, Am happy cos U are alive among the living to celebrate dis Xmas cos only me can't celebrate alone. HAPPY XMAS. This message is dedicated to you and your family, the people who have given me love and tender care and most importantly the knowledge of life sharing and caring. May this be the best festive season you ever have in life. 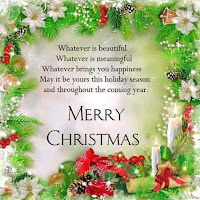 Have a "Merry Xmas" and a Prosperous New Year. Thank you all for been there for us Amen. How to report a hacked Facebook account to Facebook admins to either recover or shut down the facebook account. Yes, I have one Join Our Free Newsletter above, put in your email and click join but I will integrate push subscription tool anytime from now. Thanks for reminding me that and for leaving a positive comment.